With the highest resolution in the series, live stream your views of the cosmos and cosmic events, or capture still photos and videos for editing and sharing later with the Levenhuk T800 PLUS 8MP Eyepiece Imaging Camera. Outfitted with a standard 1.25" snout, the camera installs in your focuser, drawtube, or imaging accessories in place of a regular eyepiece, and is ideal for all types of telescopes from refractors and reflectors, to catadioptrics, and even large-aperture Dobsonians. The camera connects to your laptop or PC via an included USB 2.0 cable, which also provides the required power; and a software suite is also included with image capture and editing programs formatted for Windows, Mac, and Linux operating systems. 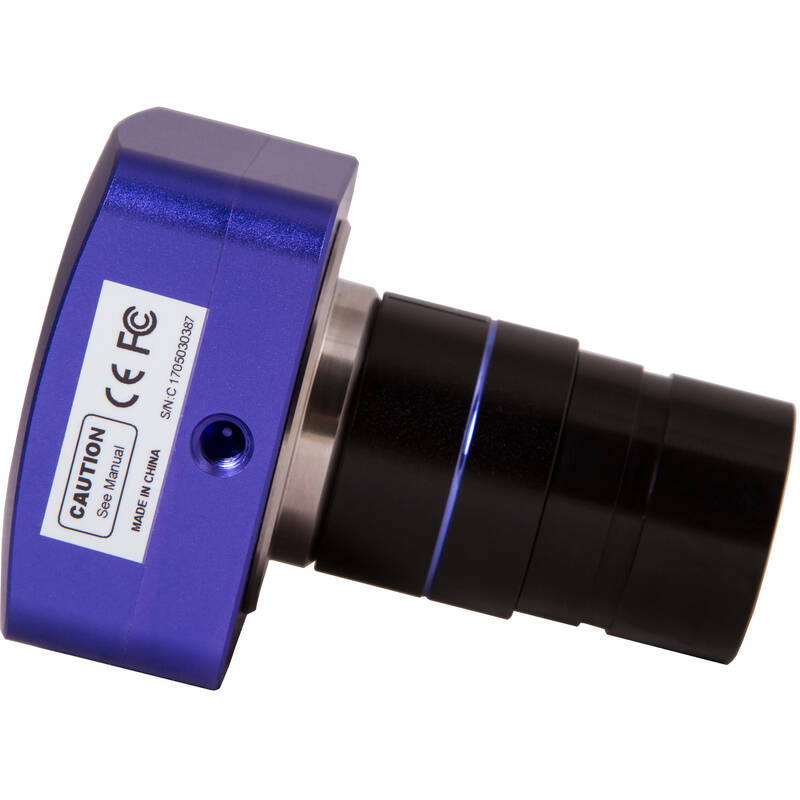 This model features a large 8MP 1/2.5" color CMOS sensor and represents the highest resolution in the T Plus series. It is sensitive enough to allow you to image the moon and planets, while the adjustable settings and exposure times enable it to capture dim deep-sky objects such as galaxies and nebulae. You can select one of three resolutions: 3264x2448, 1600x1200, and 800x600 depending on your needs and available memory. Images are captured in popular formats including jpeg, png, and tif; while standard wmv, avi, and other formats are available for videos. Box Dimensions (LxWxH) 6.0 x 5.9 x 4.0"
T800 PLUS 8MP Eyepiece Imaging Camera (1.25") is rated 2.0 out of 5 by 1. Rated 2 out of 5 by Robert from Not easy to get started. I didn't do my homework. There is little to no videos out there about this item. Several days and frustrating nights down the tubes without anything to show for it.? I would take any help from someone using this camera. The software us the confusing?part of it all.? Once more B&H did a great job with description?and shipping.